We are pleased to approve representation in the Ivory Coast with COMEXAS Cote D'Ivoire located in Abidjan. 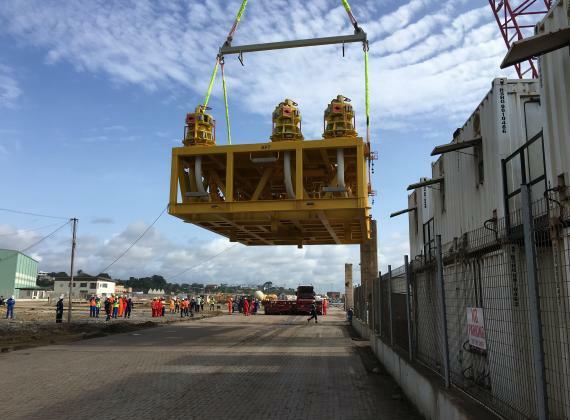 Part of the well-known COMEXAS Group (in the industry since the 1940's) and overseen by Managing Director, Olivier Vanreusel, who has taken charge of numerous projects in the past 10 years, the company is focused on project cargo and heavy lift. Olivier states; "Through our emphasis on project cargo, we offer our customers almost 70 years of expertise. Our presence on the African continent since the 1940's allows us to understand and identify the challenges of doing business within difficult environments and we are committed to working together with our clients and partners to find the right solution for each project. These tailor-made solutions range from feasibility studies and road surveys, handling, lashing and transport, suitability evaluations and risk assessments, to road civil engineering and structural re-enforcement. Logistics is our commitment! Our dedicated project department provides valuable experience and local knowledge with health and safety of the utmost importance within our operations. We have access to the best abnormal and oversized cargo transporters and handlers, heavy lift engineers, HSSE managers, quality experts, compliance personnel and IT specialists." A recent project handled by the COMEXAS Group under the COMEXAS Oil & Gas umbrella is photographed below (click to view) involving the transport of an 80mt manifold and 150mt suction pile. 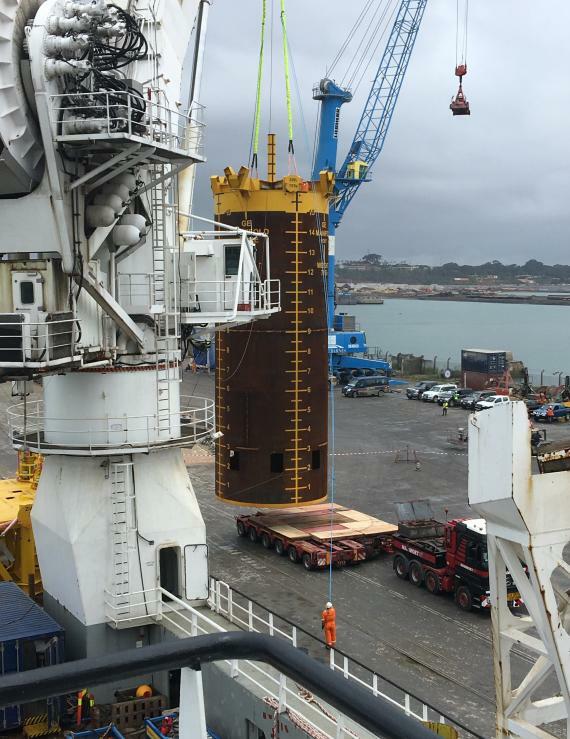 The suction pile measured 20m and was transported vertically, a rare and difficult operation.